As the winners of the biggest corporate prize in decades—the new Amazon headquarters—relished their victory, debate was still raging over the billions of dollars in incentives offered to attract the fast-growing US technology colossus. 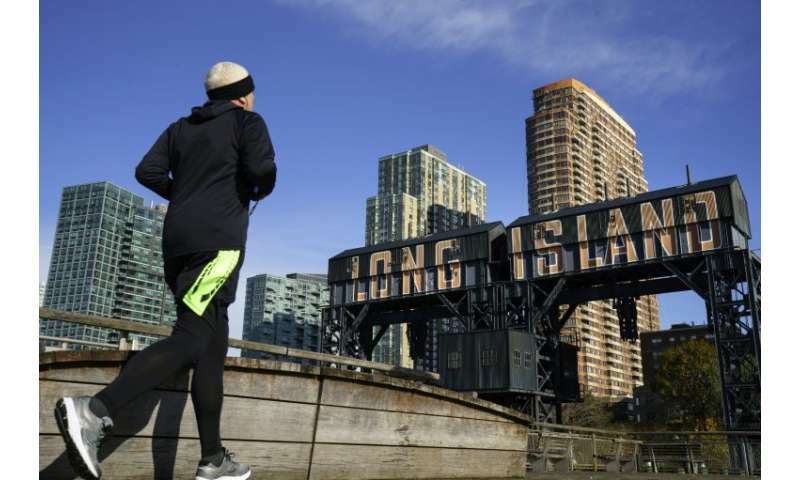 The new Amazon "HQ2" with an estimated $5 billion investment creating 50,000 new jobs will be split between the Long Island City district in New York and Crystal City, a Virginia community across the Potomac River from the US capital Washington. Officials in both communities welcomed what they said would be a major economic boost from Amazon in creating jobs, new facilities and infrastructure, and that the plans would be positive for public coffers. 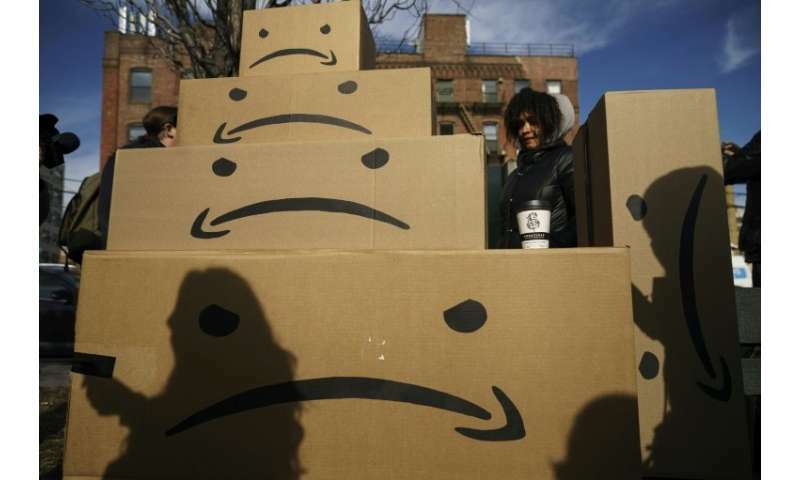 But critics warned that tax incentives and investments from state and local governments—up to $3 billion in New York and $2.5 billion in Virginia—may outweigh the economic benefits from Amazon's investments. Amazon's search for incentives—derided by some as a "Hunger Games" competition—is a common practice in the United States. A Brookings Institution report, based on New York Times data, estimates some $90 billion given annually in corporate incentives from state and local governments. Michael Farren, a George Mason University research fellow who specializes in corporate relocations, said these kinds of incentives rarely make the difference in a company decision. "Corporate relocation decisions are made on the basis of things that have deeper impact on the business' bottom line, like the availability of a skilled workforce," he said. "So why do they do this? It's because otherwise politicians couldn't claim credit for the deals." Farren noted that Amazon could have won even heftier tax benefits if it had crossed the Potomac into Maryland which offered a package worth more than $8 billion, or chose to locate west of New York in Newark, where $7 billion was being offered. Still, the deal has faced criticism from those claiming Amazon does not need what some describe as "corporate welfare." "One of the wealthiest companies in history should not be receiving financial assistance from the taxpayers while too many New York families struggle to make ends meet," New York Democratic Senator Kirsten Gillibrand said on Twitter. 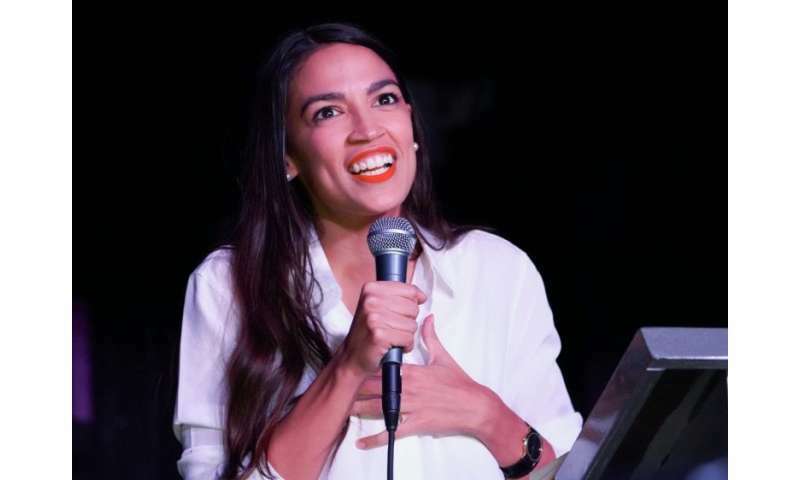 Alexandria Ocasio-Cortez, a progressive Democrat elected to Congress from a district that includes part of Queens, voiced similar concerns, tweeting that, "We need to focus on good health care, living wages, affordable rent. Corporations that offer none of those things should be met w/ skepticism." The deal has been hit from the right as well, with conservative economist Veronique de Rugy writing in the National Review: "I can't believe I'm saying this, but Ocasio-Cortez is mostly correct on this matter, and her conservative critics are wrong. Handouts like this to Amazon and other prominent companies are appalling in their cronyism, pure and simple." Farren said subsidies distort the economy and that instead of betting on a specific company or industry, cities should focus on improvements to education and infrastructure that make them attractive places to live and work. But Tom Stringer, a corporate real estate advisor with the consulting firm BDO, said critics of the Amazon deal may not be reading the fine print. "Both states are getting terrific deals if things come to fruition," Stringer told AFP. Stringer said that the agreements are structured as "pay as you go programs," and that "if Amazon does not deliver they are not getting the benefits. Taxpayers are pretty well protected." Nonetheless, the question of public subsidies has come into sharper focus with deals concerning Amazon and Foxconn, a Taiwan-based electronic firm that produces for Apple and other major firms and agreed to build a factory in Wisconsin. The $3 billion in incentives for Foxconn—projected to grow to $4 billion—to create 13,000 jobs amounts to a subsidy of more than $200,000 per job, compared with around $20,000 per job for Amazon. Stringer said the Foxconn deal, which was announced by President Donald Trump, had some "highly unusual" elements compared to Amazon's. "There are a lot of political implications with Foxconn that are very different from what's on display with Amazon," he said. 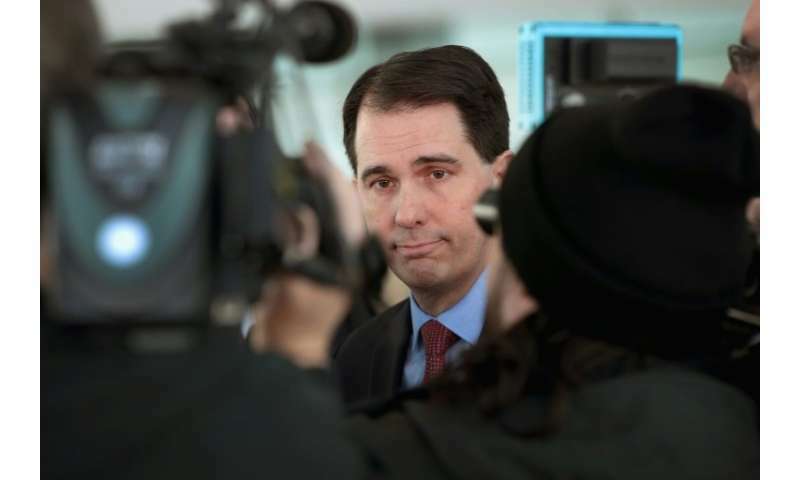 Wisconsin Governor Scott Walker, who negotiated the Foxconn deal, lost his re-election bid this month amid concerns over the rising costs and estimates for lower job creation. Even some companies have begun to acknowledge problems with the tradition of public subsidies. Walt Disney Co. sent a letter to the city of Anaheim, California, earlier this year asking for an end to tax breaks, saying they created an "adversarial climate." But Stringer argued that incentives remain "critically important" as a way to lure businesses and spur economic development. "Everybody is kidding themselves if they think incentives don't make a difference," he said. Darrell West, head of governance studies at Brookings, said that "it is important (for officials) to be hard-nosed about negotiations so that both sides benefit from these deals." He also acknowledged that companies like Amazon and Foxconn "had clear bargaining advantages because of the size of their possible investment."